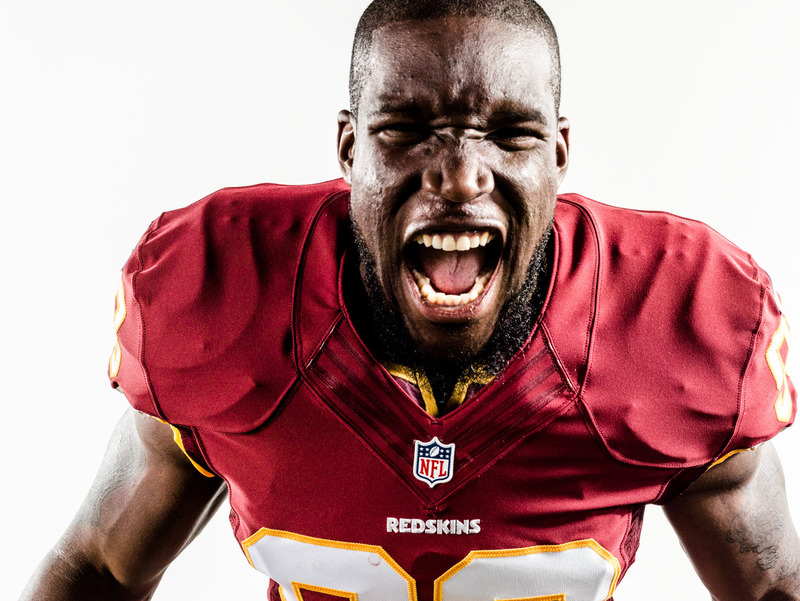 This photograph of Brian Orakpo was taken during his tenure with the Washington Redskins NFL team for Verizon Wireless professional athlete sponsorship campaign. His intensity was insane. This gritty and real moment captured the emotion of the scene. Authentic sports photographer Andy Batt was the man for this job.